We are a reliable Home Loan Consultant that provides guidance about Home Loans to clients, with suitable property insurance advice. We can facilitate Project Title Clearances or Loans for Properties bought through us. To offer the best services to clients we are associated with reputed banks. We ensure that our clients understand the nitty-gritty details of applying for a Home Loan. We have experts here that ensure that clients understand the nitty-gritty aspects of availing Property Insurance like what insurance type would be best depending on their property, what risks an ideal Property Insurance plan would cover, etc. 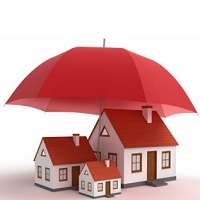 To understand all the technicalities of Property Insurance, clients can contact our professional team. Our focus as a reliable real estate company is to ensure that the properties of our clients are well protected against common risks. Copyright © 2012 Escala Realty India Pvt. Ltd. All Rights Reserved.